“I really found Heidi to be a really good teacher, and the whole day was really fascinating and very thought provoking. Having the workshop in a private house made it more relaxed as well and Yvonne provided an absolutely delicious home cooked lunch for everyone. The event raised £525 for our Nanning bear adoption, helping Animals Asia with the conversion of the bear farm in Nanning into a sanctuary. A massive THANK YOU to Heidi and Yvonne for making it such a success and to the participants for choosing our workshop. Heidi provided her services free of charge and refused to accept travel expenses, and Yvonne donated lunch and drinks, so 100% of the proceeds goes to the bears! 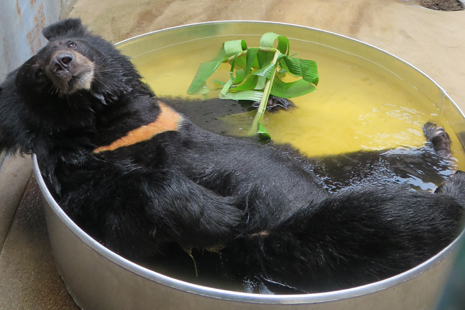 This entry was posted on Monday, December 1st, 2014 at 12:15 pm	and tagged with Animals Asia, Heidi Stephenson, Moon bear rescue, Nanning Bear, Nanning Bear Farm and posted in London events. You can follow any responses to this entry through the RSS 2.0 feed.